I had one rear suspension failure at Pocono, coming off the banking and was able to limp into the pits without major damage to the car. 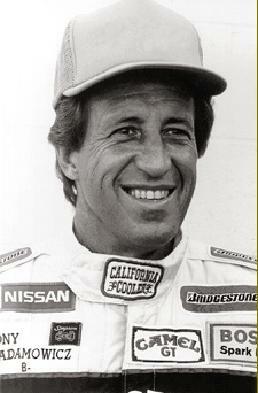 Every time we got into the car was a exhilarating experience, because we never knew what was going to break next. 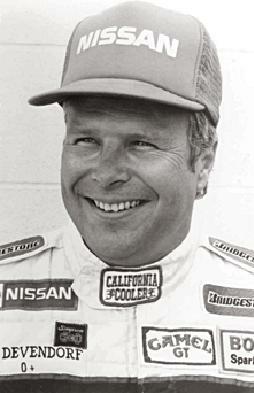 Brian Redman indicated we should abandon the car. The California Cooler had developed a reputation as the "California Coffin". 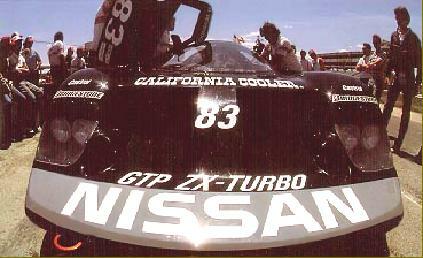 GTP ZX Turbo with the dash cover removed. Don and I were both middle aged now. 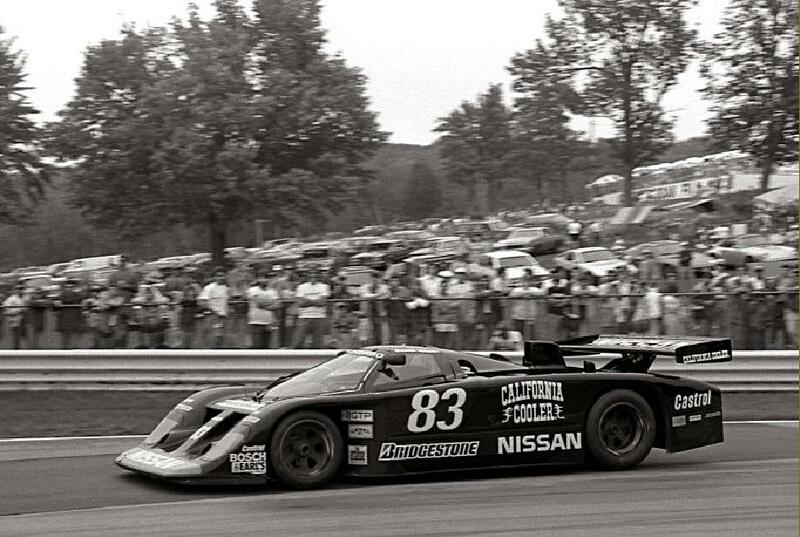 I think we were two very brave drivers in the early years of development of this GTP car. 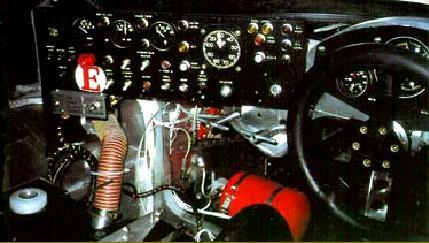 They said the very same things about the early development of the famed Porsche 917K in the pre 70's. 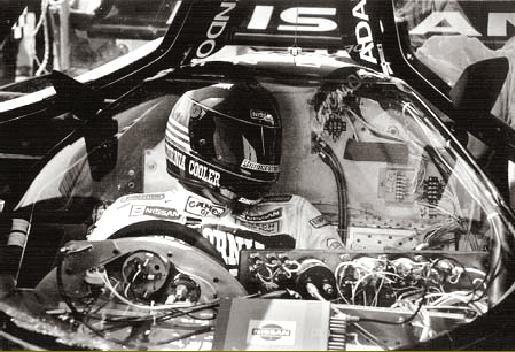 Scary, but both chassis needed time to develop into the championship cars they became. My only regret was not being there to benefit from all our early testing and development of the GTP. Politics prevented both Don and I from enjoying the fruits of development as drivers of this machine. 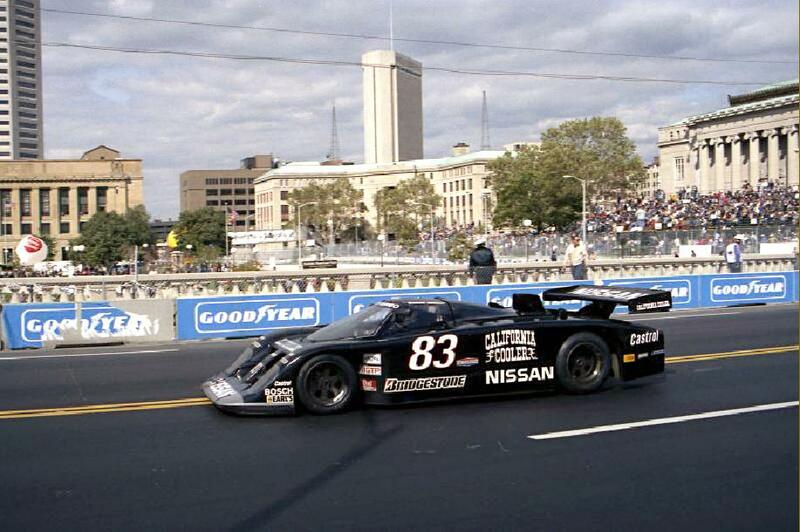 1985 IMSA Columbus-500 The black GTP car had more aero downforce than any road racer up to this time.